Custom Coach and Limousine provides a wide range of services to meet your transportation needs. Below are just a few features we're currently highlighting. Check back periodically to see what might be new and exciting! 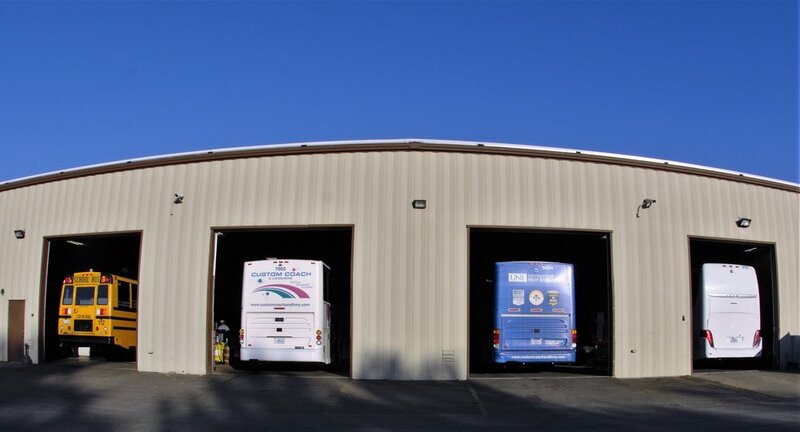 Custom Coach and Limousine works with a variety of camps throughout Maine to meet their transportation needs. 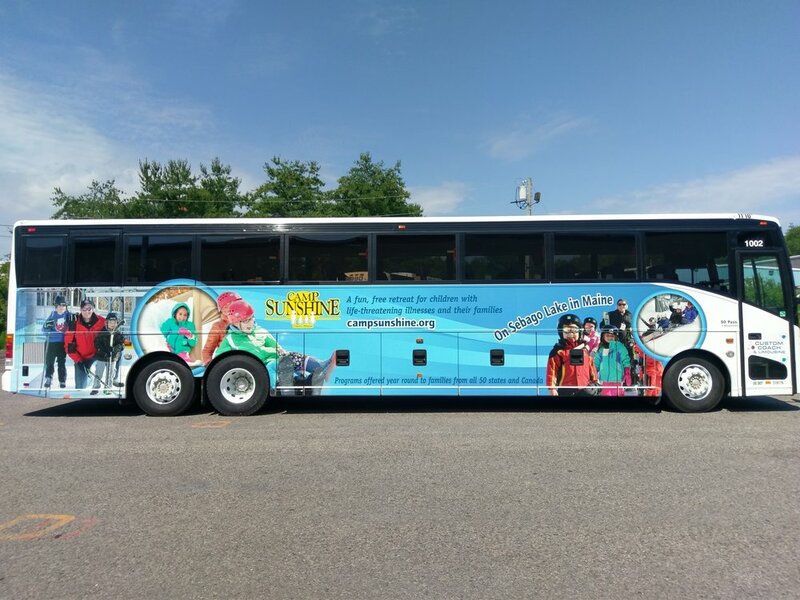 In the summer of 2017 we partnered with Camp Sunshine to wrap a bus and spread the word about the great work they do. For every mile this bus drives Custom Coach will make a donation to Camp Sunshine to help more kids get a chance to go to camp. Check out the Camp Sunshine website and learn a little more about them and the great work they do! Planning a wedding can be hard enough without having to worry about transportation. With some basic details we can help you figure out what your needs may be. Operating vehicles from 2 to 57 passengers we're sure to have the vehicle for you! If your details aren't finalized we're here to help, request a quote and we'll help you plan whatever transportation you may need. Safety is always a feature at Custom Coach and Limousine. Check out our safety page for more information on how we ensure the safety of our customers and employees.